Semi Automatic Single Cluster Milking Machine that brought forward by us is designing for helping dairy industry for extracting milk from cows or buffaloes through their teats at high speed. This kind of machine is simple to use due to its simple operation, and is portable because of smooth performance wheels. The container, which has 25 litre capacity, is provided with the machine to the storage the milks safety. Equipped with heavy duty motor pump, this can be installed easily on smooth surface due to its strong base and skid-proof rubber shoes. 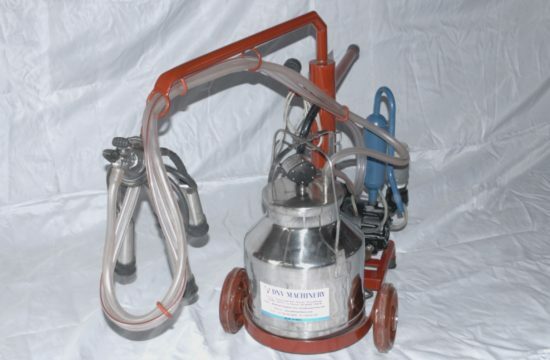 The Semi Automatic Single Cluster Milking Machine is simple to clean & maintain, and comes several models to choose from.